Are you looking to take on a company of reliable trustworthy W2 plumbers to carry out works in your home? then you will not have to look any further. Home Cure is one of London’s fastest growing plumbing and heating companies who specialise in a large range of plumbing and heating services in your area. We also provide an emergency plumbing service where if in the event of an emergency like a boiler breakdown requiring a boiler repair engineer we will try and get out to you within the hour. Our customer base is rapidly growing day by day and we are seeing a large volume of returning customers who are very happy with the results in using our local paddington plumbing and heating services. We as company are only too aware of how inconvienient it can be sitting in all day waiting for a Plumber, when im sure there are plenty of things in paddington you can be getting on with. We will offer you a two hour time slot in the day that is convienient for you and will call you 30-40minutes before arrival. However if you have a plumbing emergency in W2, please ask for our one-hour plumbing service in paddington and we will attend as quick as possible. Home Cure offer all kinds of plumbing services around the house, whether you simply need a Paddington plumber for a quick fix to a dripping tap, boiler repairs or a complete new central heating system or bathroom installation we can deal with it all. Senior citizens will receive a 5% discount when booking our Paddington plumbers or any other job including boiler repairs in the W2 area. No Call out charge for booking our plumbers in Paddington, just a clear and simple method of charging, see our charges page for more information on charging. Quick Response Paddington Plumbers When You Need Them! Home Cure has provided a plumbing service in Paddington for some time and continues to build its name and reputation in the W2 area. Any Paddington Plumber working for Home Cure will be fully qualified and experienced to work on an extensive range of central heating and plumbing systems. We also offer drainage and gas services to our Paddington customers. Home Cure intend to make all our paddington customers feel at ease with our plumbers. 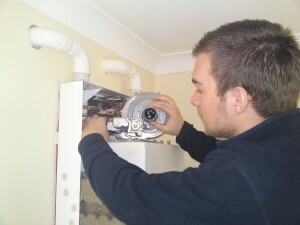 Our wide range of plumbers will do their best to explain to you what the best solution for your plumbing job is. Also they will advise of ways to prevent the plumbing fault from happening again or the best way to deal with it. For example: showing you where your internal stopcock is, this could prevent a lot of damage to your property in paddington. Second time i have used Home Cure and im sure not the last. I would highly recommend them to anyone living in the paddington area. I have had two different plumbers to my property and both were very polite explained the job to me and put me at ease about the price by giving it to me before they went ahead with any works. very reasonable prices too. Home Cure offer an extensive range of plumbing repairs and installations in the Maida Vale W9 area. Our local maida vale plumbers offer a quick service in and around the Maida Vale area. Our team of Maida Vale plumbers will always be available at a time that suits you, whether its a quick response to an emergency or an appoinment that is convienent for you. Home Cure offer all services to our Maida Vale customers no matter how big or small the job. Home Cure offer all household plumbing services in Maida Vale, whether you simply need general plumbing services for a leaking pipe a boiler service or boiler repairs we cover it all. Our plumbers in Maida Vale are accredited by bodies such as Gas Safe. Specialising in Boiler repairs and general plumbing and maintenance call outs in the Maida Vale area. Our livelihood rely’s on your satisfaction. A large amount of our work comes from customers in Maida Vale recommending us, so your guarantee of excellent workmanship and service to the W9 area comes from our commitment to protect our reputation. See our garuntee page for more information. Home Cure offer discounts to senior citizens. So when calling to book a job in W9, please make our call center staff aware and they will apply the correct discount for your job. No Call out charge for booking a Maida Vale Plumber, just a clear and simple method of charging, see our charges page for more information on charging. CALL now on 0800 002 9991 for a local fast response plumber in Maida Vale. We are only too aware of how frustrating it can be waiting in on a plumber to arrive. There are so many jobs that need doing in our every day lives. So rather than sitting in all day waiting we will arrange a two hour slot in the day and get the plumber to call 30mins before arrival. So you can carry on with your day as normal in Maida Vale W9. Unless of course you have an emergency, in which case you can ask for our one hour plumbing service. I am absolutley delighted with the service homecure provided me with and will be recommending them to anyone in need of a Plumber. The plumber arrived on time to my property in Maida Vale as promised. He was very quick to diagnose and fix my problem. When i came accross the leak in my property i thought it was going to be an absolute nightmare. After Home Cure attended it was actually the complete opposite. The engineeer was quick clean and tidy and the price was as i was quoted on the phone, no hidden extras. Maida Vale plumber: plumbers in Maida Vale available 24/7 for all your plumbing needs. You are currently browsing the Home Cure blog archives for January, 2011.